My favorite gift to buy during the holiday season is chocolate. I love chocolate and know it is a favorite for most people so it makes a great gift. A gift of chocolate can be a great family gift. I have many relatives to buy for and that can get costly to send a lot of gifts as they all live far away from me. I save money and time by buying a pound of chocolate for a gift to be enjoyed by each family. A great place that I discovered to by chocolate from is Mrs. Cavanaugh's. 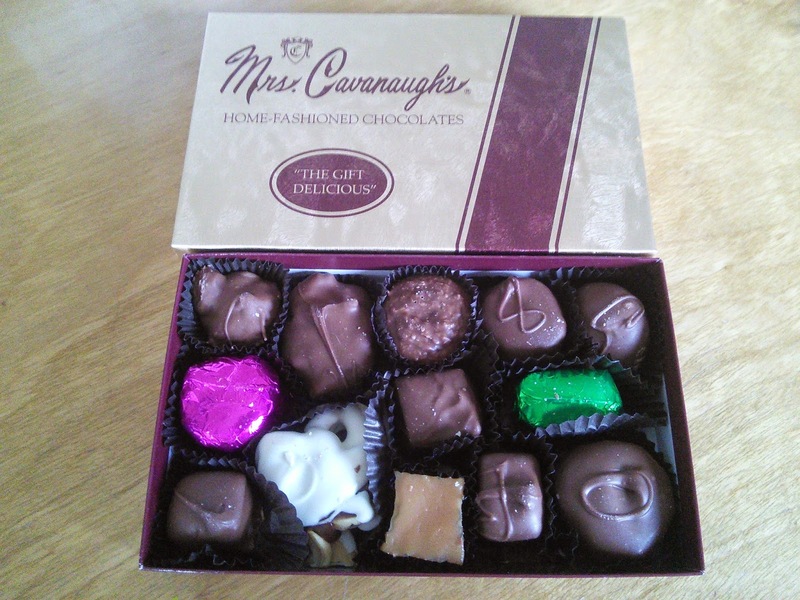 Mrs. Cavanaugh's makes great tasting chocolates that the whole family will enjoy. I was sent a a box of Most Famous Milk chocolates so I could try the chocolate. This box contained an assortment of 13 pieces of milk chocolate. The box had pieces with nuts, caramels and fruit creams. My favorite was the raspberry cream. The raspberry flavor was so good, tasting like a fresh raspberry, and the milk chocolate was oh so good. My boys sampled the caramel pieces and said "these are so good." I gave my husband a cherry cordial which he loved as it had a big piece of cherry along with juice and smothered with milk chocolate. I had to hide the box of chocolate so I could enjoy the rest. You can purchase the chocolates in boxes of 1,2,3, or 5 pounds. You can create your box, choosing your favorites or select from assorted boxes of chocolate. They even sell a box with just one kind of chocolate. For people who can't have sugar, they sell sugar free chocolates. I was also sent some bars of chocolate to sample. These are not available online but in their local store in Utah. These bars were made with yummy milk chocolate and other fresh ingredients like roasted almonds. 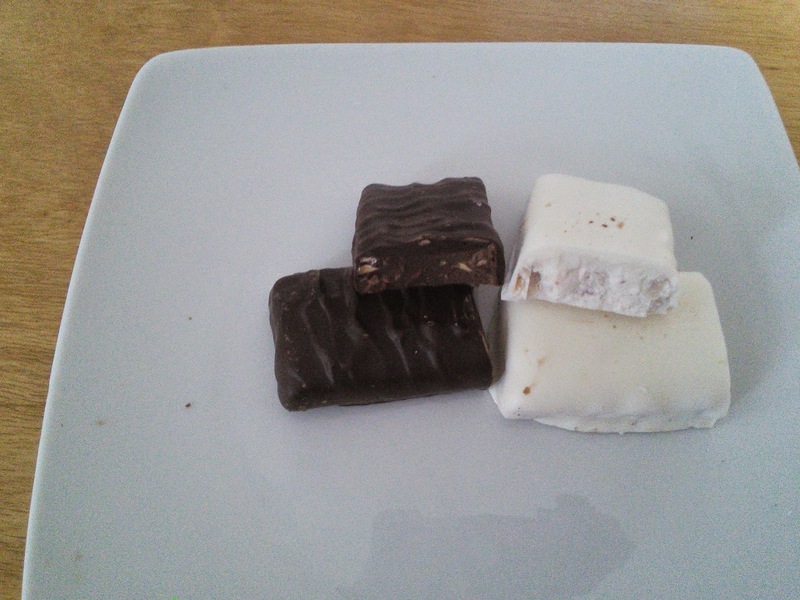 My family and I sampled the Mindy Mint truffle one, not pictured as we ate it before pictures, and it was so good. The Mindy Mint Truffle is made with premium peppermint oil and smother with their wonderful milk chocolate. Below is the Roasted almond and White Chocolate Truffle, don't they look yummy? To order these delicious chocolates for your holiday gifts or for a treat for yourself, click on the below link. 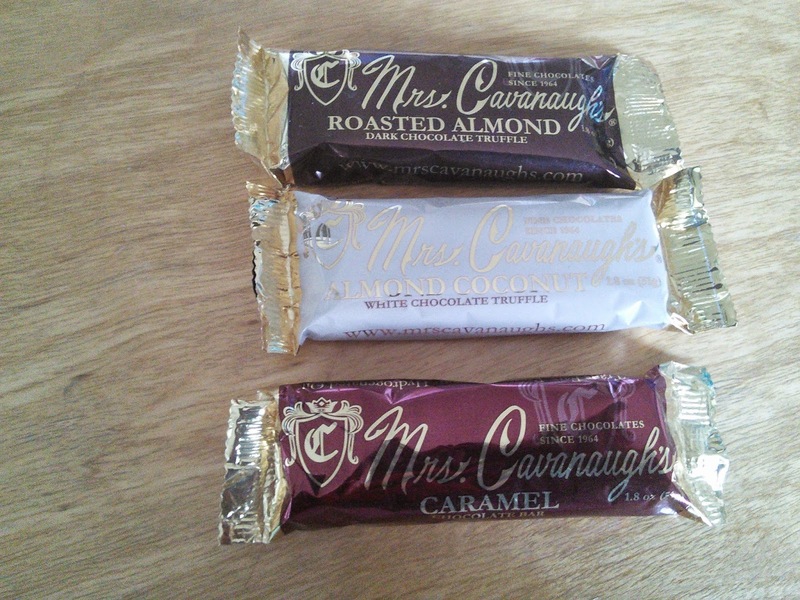 My readers receive Buy 1 lb Get 1 lb FREE of Mrs. Cavanaugh's Chocolates use promo code: usfamily14 at checkout. "These opinions are my own and I was sent samples of the above mentioned product to write this review."